Once upon a time, I went for a bursary application interview. It did not go well. 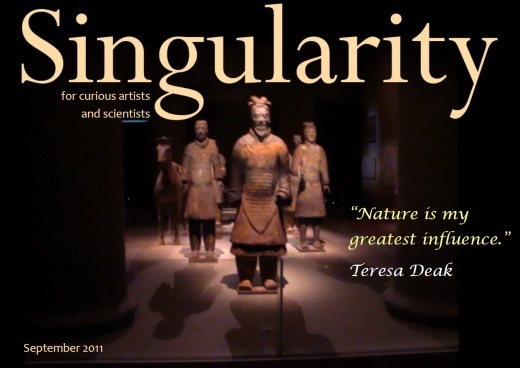 In the September 2011 issue of my magazine, I had an interview with Teresa Deak, a photographer who likes to take macro shots. I also have some photos of my visit to the Asian Civilisations Museum that’s exclusive to the magazine. So go download it now. The demo mentioned in the video is 74293945 by T-Rex. In this issue, I interviewed Teresa Deak aka Picsie Chick, a photographer. I also went to the Asian Civilisations Museum for the Terracotta Warriors exhibit. Read the magazine for more photos of my trip. Download the September issue (about 5 MB). Subscribe to the magazine for free here. 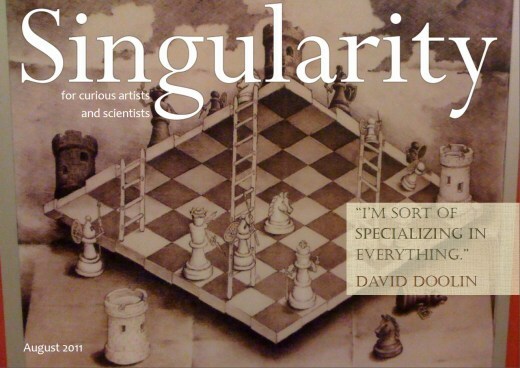 In this issue of Singularity, you’ll read my interview with Dave Doolin, who writes at Website In A Weekend. 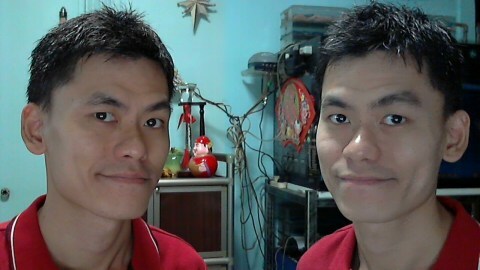 We talked about the US economy, the prospects of being a generalist in Singapore and WordPress. He’s also on Twitter @websiteweekend. Download the August 2011 issue (about 11 MB). And if you haven’t watched it, I also explain the maths concept of Cantor sets in a video. Harry Potter references and special yellow screen effects. Watch it. Now. You’ll also read about the second part of my visit to the Singapore Science Centre. There’s a special section on optical illusions. See if you’re stumped. I like this quote: “Rest is a weapon.” – Robert Ludlum. In summary, the Cantonese saying means there’s light in front of you, so why are you acting as if you can’t see. Or you could get the whole Bourne trilogy in one go. I play the PlayStation version of L.A. Noire. 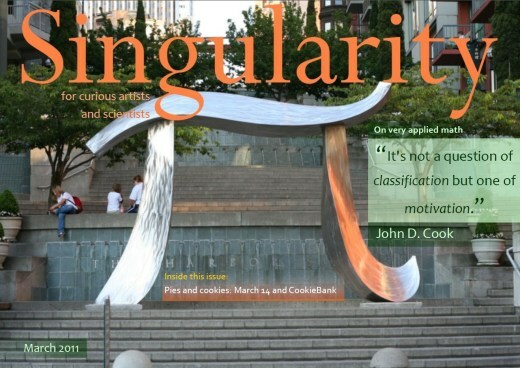 Download the April 2011 issue of Singularity magazine (about 11MB). 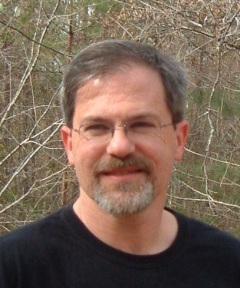 I have the pleasure of interviewing Thom Chambers, a fellow magazine editor who runs the In Treehouses magazine. You might notice that I’m sort of slowing down writing for the blog here in favour of writing for my magazine. One reason is that I find some of my ideas harder or inappropriate to write here, due to design or expression or simply the idea itself. Another reason is that I feel a greater satisfaction of having created something, compared to just a blog post. You will do well subscribing to my magazine. I will still write here, just maybe not as often. Maybe. 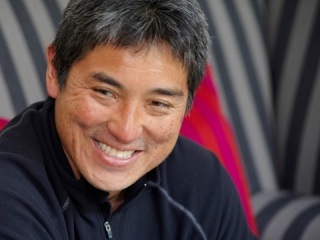 People who do well in early stage startups tend to be generalists. To prosper, to scale up you’ve actually got to hire specialists. Now I don’t have anything against specialists or the idea of specialising in one field. That’s great, and we need those people. My gripe is that we don’t have enough generalists. I believe having more Leonardo da Vinci’s will help solve a lot of world problems. You and I might not envision a solution, but that might be because we’re tunnel-visioned. They aren’t. Enchantment is important because the more innovative and important your product, service, or idea, the more you will encounter resistance. You would think it would be the opposite, but the world usually resists a better mousetrap. Two major factors: my editor pounding on me for another book and my desire to combine the body of knowledge about influencing, wooing, and persuading people with my personal experiences as an evangelist. Is Enchantment simply persuasion? How is it different? It’s more than persuasion. Persuasion is usually applied for a specific transaction–you persuade people to do something like buy your widget. The purpose of enchantment is a deeper, longer-lasting, and more delightful relationship. Some companies persuade you to buy their laptop. Apple enchants people, and they buy a Macintosh, iPhone, iPod, iPad, and iAnything. How can artists and scientists benefit from Enchantment? Artists and scientists face the same challenges business people do: raising funds, communicating their passion, finishing their work, and then marketing it. All these stages require enchanting people and organizations–to change their hearts, minds, and actions. 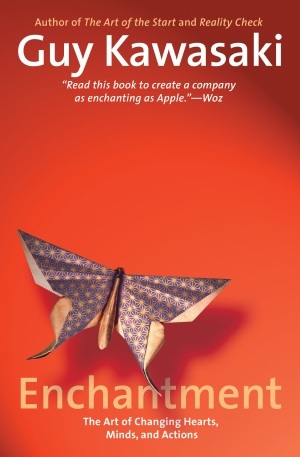 Where can we find out more about Enchantment and your work? Wow, there’s a Nikon D3100 and an Apple iPad up for grabs! The contest ends on 11 March, so you better hurry. My graduate adviser told me that he thought there would be a lot of opportunity for someone who could combine theoretical math and computation. I believe he was right. Most of my career has been in that overlap and I’ve had the opportunity to do some interesting things. The whole interview is in the March issue. Click on the link above to get the magazine. Some time between my final exams and getting my first job, I’ve been afraid. “What can I do?” came up a lot. I had a double major in Applied Mathematics and Computational Science. I’m not really that good in mathematics, nor am I “qualified” to do programming. The research facilities want PhD’s and MSc’s (in maths). The software companies want graduates with a computer science degree, not a computational science degree. They don’t understand the difference, so it takes more convincing. Or something like that. I wrote a program that analysed wave motions (I think). I wrote a MATLAB program to do image texture matching with Fourier Transforms. I wrote a C program to simulate computer virus behaviour. It’s why I never learned about databases and SQL. My scientific problems and experiments hadn’t required large amounts of data. I understand that my peers in the computer science courses learnt to simulate airline ticket purchasing, and to connect to databases, and to design web interfaces. I just typed “cc vince.c -o vince” on my Unix command line. Then “vince” to run the program. If segmentation faults didn’t assault me, then I had the output somewhere in a text file. Luckily, I got hired a few months after graduation. A telecommunications company director interviewed me. Apparently my maths degree was an edge, because all his hires were computer science graduates. One of the departments that the director was in charge of, was the billing support department. Hey numbers! My forte! Supposedly. (No, I mean, yes, definitely my forte! [I needed to eat…]) I found out about that supposed maths edge I had some time after I was hired, when he talked with me (I think). So John’s answer struck something deep within me. I wished I heard that when I was in university. Then I don’t have to be so afraid that I won’t be of use anywhere. So to the (future) mathematicians out there, learn to write code. Programming is actually quite compatible with how you think in maths. To the (future) programmers out there, learn to broaden your knowledge and skills. (You thought I was going to say maths, didn’t you?) Software is getting more complex and simpler at the same time. That’s because the range of needs from users is getting wider. There’s software that does facial recognition, fingerprint recognition, speech recognition, image matching, and textual analysis. 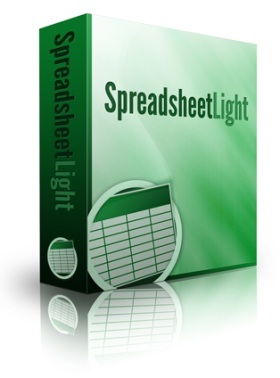 There’s software that does billing, accounting, profit sharing, and banking. There’s also software that just blips 140 characters to some server. 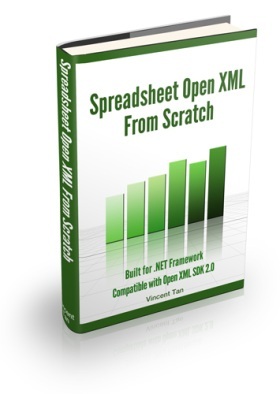 There’s software that does all kinds of things that people want or need. Your skill to write code isn’t in question. Your skill to understand the myriad scenarios and conditions for your software to work, is. So in a fortnight’s time, it will be Pi Day! Are you excited? Yeah? Yes? no? Oh, you don’t care… Well, you get to eat pies… oh you love pies? Great! So look out on the Internet on March 14. Why March 14? Because the first three digits of PI (3.14159) is 3, 1 and 4. You know, 3/14 as a date? 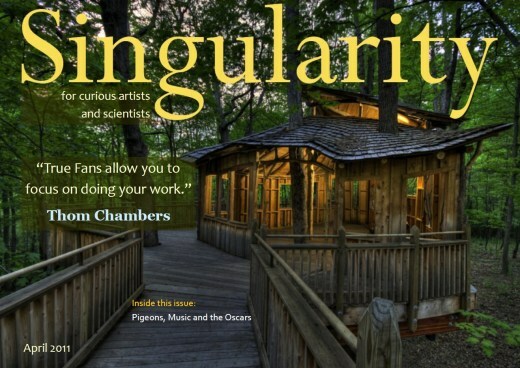 Anyway, the March 2011 issue of Singularity magazine is available! I’d chomp right through a bushel of cookies if I had it right now. Because I’m that happy. Speaking of cookies, there’s a special report on CookieBank, a sweet way of microlending. Check it out in the magazine. Since we have Pi Day, we can’t escape from mathematics, right? I bring you an interview with mathematician, John D. Cook. He says contrary to popular understanding, Taylor series approximations are not used to calculate trigonometric functions in computer chips. What, you didn’t know? Neither did I! So the fairies I hired last month are really good. They helped me track down nice pictures to use in the magazine, small bits of info here and there, do some design stuff. All they ask for is that I feed them, which is ok, since they eat very little. And that I let them take rides on my cat (assistant). My cat graciously obliged (after I begged her imperial Majesty for a few days. I really needed the fairies to help). There was one small tiny bit of a commotion. An incident really. The fairies were exploring the house, and they settled near my cat’s food bowls. They picked a couple of pieces of dry cat food out. My cat pounced onto the fairies. Luckily, no fairy was hurt (they fly and flee fast, I’ll give them that). Otherwise I’d have to answer to the Magical Minist… what? Oh, I’m not supposed to tell them. Uh, forget what I said. So. My cat’s fine with the feline rides. But touch her food bowls and you die. Period.